Since I love tacos and taco salad, this Taco Salad in a bag is the perfect camping or concessions stand meal! This concept of taco salad in a bag stems from the Frito pie also known as Walking taco, Frito boat, Pepper bellies, or Texas Salad that’s been around for decades. A Frito pie is chili poured into a slit open bag of Fritos Corn Chips and sprinkled with cheese. Other regions of the United states may add onions, lettuce, jalapenos, and sour cream. Frito pies are a very common sight to see at the State Fair of Texas or sporting events. Let each family member pick their favorite bag of chips, whether it be Fritos or Doritos, and ladle in the chili, cheese, lettuce, and any additional taco ingredients desired to turn it into a quick, no fuss camping meal that is also easy clean-up. Also great to keep in mind for concession stand fund raisers. It’s a great walk-around meal and kids would enjoy this. In Mexico, along the beaches, vendors will sell corn chips made out of masa that is deep fried and called fritos meaning “little fried things.” Back in the 1930’s, a San Antonio businessmen, Charles Elmer Doolin (also inventor of the cheeto), was looking for a corn snack to sell at the counter of his confectionary. When he found a street vendor making and selling the fritos at a local gas station, he bought the patent and began making the chips in his own kitchen to perfect the recipe. In 1955, Doolin opened a Casa de Frito restaurant in Disneyland and in Dallas, TX, which was an early form of a fast food restaurant. Doolin also started distributing Fritos nationwide. He partnered with Herman Lay and started the Frito-Lay brand. Texans and New Mexicans have debated decades over who can lay claim to the creation of the Frito pie. According to the Doolin family, Charles Doolin’s mother, Daisy Doolin, invented the Frito pie in the 1930’s, not long after her son started experimenting with Frito’s in his test kitchen. “Slit the bag open, pour the chili on top of the Fritos, then eat it with a spoon right out of the bag.” This Frito pie was part of a “Cooking with Fritos” campaign led by Daisy (which even included a recipe for Frito’s fruitcake and Frito’s meatloaf). New Mexico also likes to lay claim to the invention of the Frito pie. In Santa Fe, New Mexico, it is said that Teresa Hernandez, a Woolworth’s employee, would ladle her mother’s red chili into the opened bag of Fritos corn chips, selling the menu item at the lunch counter to customers. The Doolin family has been able to put to rest this dispute by providing documents to confirm their publicity department served Fritos chili pie to a Dallas Dietetic Association in 1949. Alas New Mexican’s still claims it tastes the best when served in Santa Fe! 1930 – Charles Elmer Doolin bought the patent to make and sell Frito’s. Daisy Doolin started the “Cooking with Fritos” campaign. 1949 – Frito-Lay publicity department served Fritos Chili Pie to the Dallas Dietetic Association. 1950’s – Doolin started distributing Frito’s nationwide. Partnered with Herman Lay and started Frito-Lay brand and distributed globally. 1952 to 1967 – The Frito Kid was the official mascot of Fritos corn chips. In the 1950s and 1960s, at Disneyland’s Casa de Fritos, guests could pay a nickel for a bag of chips to be dispensed by this elaborate vending machine. Upon inserting your nickel, the Frito Kid figure would come to life, turning his head, licking his upper lip, slowly moving his eyes side to side. * Can use snack sized chip bags for smaller kids and cut ingredient amount per bag in half. * You could use homemade chile. Check out some delicious famous and not so famous Chili Recipes. Oven medium heat, pour cans of chili into medium-sized sauce pan. Cook until chili is heated thoroughly. Hold chip bag sideways in hand and use scissors to cut open top of bag. As the chip bag sits in your hands, squeeze the bag to crumble up the chips into bite-size pieces. Pour 1 cup of prepared chili into each bag. Top chili with 1/2 cup shredded cheese and then top with 1 1/2 to 2 cups shredded lettuce. Add your favorite taco toppings (see topping options). Eat with a fork and enjoy! Cleanup: Throw chip bag and plastic fork away in the trash when you’re done. Instead of using chili, you can use ground beef or turkey cooked in taco seasoning. In a large frying pan over medium-high heat, brown the ground beef until it’s almost done and there is still a little pinkness. Remove from heat and drain off the fat. Stir in the taco seasoning until combined. 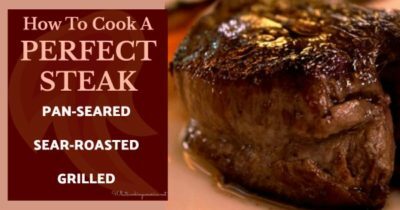 Continue cooking till meat is fully browned. Remove from heat. NPR National Public Radio Books Hidden Kitchens: The Kitchen Sisters, The Birth of the Frito, by The Kitchen Sisters, October, 18, 2007. Houston Press Blogs, Restaurants, The Frito Pie Is Not from Texas: Commence Pearl-Clutching, by Katharine Shilcutt, Oct 13, 2011. Frito Kid and Deeee-licious Fritos, Imagineering Disney.com. Huffington Post – Huffpost Taste, Anthony Bourdain Admits ‘Frito Pie” Mistake, by Russell Contrerea, Sept 30, 2013.